A new car is a big investment, you want to make sure you pick the right one. Mini is giving you a hand with a new online video. It decked out its newest model – the Mini John Cooper Works Hatch, its most powerful car ever – with 12 cameras to give 25 different views. It then sent famed stunt driver Niki Faulkner around Mallory Race Track in Leicestershire, and captured his exploits from all angles. The result is a video with nine interactive screens including views of the driver, the exhaust, the petrol cap and wing mirror and the rear spoiler. It's the closest you can get to driving the car without hopping in the driving seat and fastening your seat belt. The cameras include GoPros, a drone and even a 'dog cam'. This shows off the G-force of the car by focussing on a nodding British bulldog on the parcel shelf. Faulkner is no stranger to speed. He drove a Mini in the F1 racing thriller Rush and will soon be seen leathering up for scenes in Mission Impossible 5. We don't advise you try his kind of driving. Apart from anything, it will be frowned upon in the Aldi car park. So what of the car itself? It packs a 2-litre, 4-cylinder engine and TwinPower Turbo Technology – this reduces fuel consumption by 10 per cent and offers better response (it's the same tech found in the BMW M5 sports saloon). It has a top speed of 153mph, and goes from 0-60 in 6.3 seconds. Not bad for a Mini. 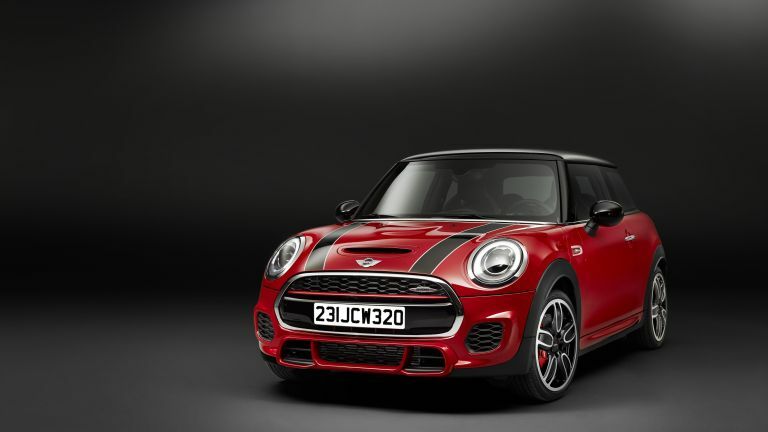 The Mini John Cooper Works Hatch will launch in May. You can watch the video now either above or at Mini Centres around the country from May 1-4.